Metropolitan Transportation Authority (MTA) trains and buses will operate on special schedules during the New Year’s holiday weekend, with lots of extra service to help customers enjoy the three-day weekend and celebrate the New Year. 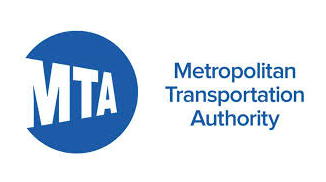 Also for holiday travelers, as part of the Port Authority’s measures to alleviate roadway congestion at LaGuardia Airport during the peak holiday travel rush, MTA New York City Transit’s LaGuardia Link Q70 Select Bus Service will be fare-free through Tuesday, January 2. The LaGuardia Link provides non-stop service linking the main terminals of the airport (Terminals B, C and D) with New York City Subway at the Jackson Hts-Roosevelt Av. station and the 61 St-Woodside station-Long Island Rail Road stop in Woodside, Queens. New York City subways and buses and the Staten Island Railway will operate on a Sunday schedule. Due to scheduled Subway Action Plan maintenance and repair work occurring in the 53 St. Tube until late morning, Sunday, December 31, line riders are advised to allow additional travel time. More information on these significant upgrades and travel alternatives can be found here. On Metro-North, an enhanced Sunday schedule will be in effect with additional service to Grand Central Terminal in the late afternoon and early evening. The Long Island Rail Road will operate on a regular weekend/holiday schedule with 10 extra trains added. For additional details, please see the attached press release from the Long Island Rail Road. On the Port Jervis Line and Pascack Valley Line, a regular weekend schedule will be in effect, with an additional inbound train from Port Jervis and additional outbound service to Port Jervis and Spring Valley after midnight. Customers heading to Times Square for the celebration should avoid using the 42 St-Times Square subway complex, since they may not be allowed to exit onto the street. In addition, the northbound platform at 50 St. and both north and southbound platforms at 49 St. will be closed from 7 p.m. until shortly after midnight. Riders are urged to exit at stations at 50 St. or 57 St. and walk to Times Square. Additional service will be provided ion most lines. Station entrances in the Times Square area are subject to closure based on instructions from the NYPD. Buses are not recommended for traveling to Times Square because of the numerous street closures in the area. Regular overnight bus service will resume as streets reopen after midnight. Following the celebration, subway trains on lines in and around Times Square will run every 8 to 12 minutes until approximately 3 a.m. the 42nd Street shuttle will operate all night. After midnight, Metro-North Railroad will continue operating into the early morning hours, adding 48 departures between midnight and 5 a.m. from Grand Central Terminal to get customers safely home after the New Year’s Eve festivities, 12 additional trains toward Grand Central, and three additional trains to or from Hoboken Terminal on the Port Jervis Line and Pascack Valley Line, offering connecting service to/from Penn Station via Secaucus Junction. For the remainder of the day, New York City subways and buses, Metro-North Railroad and the Staten Island Railway will operate on a Sunday schedule. Customers may visit www.mta.infoand check out “The Weekender,” accessible by clicking the “Weekender” tab located within the Service Status Menu. Customers using bus routes in the five boroughs should use MTA Bus Time to track real-time bus positions and gauge arrival times. Metro-North will operate 17 extra Getaway trains between 12:58 p.m. and 4:11 p.m., and some trains after 5 p.m. will be combined or cancelled. Metro-North will operate an additional inbound train on the Hudson Line, 6:34 p.m., out of Poughkeepsie, making stops at New Hamburg, Beacon, Peekskill, Croton-Harmon, Ossining, Tarrytown and Grand Central Terminal. – 12:38 a.m. making all station stops from Croton-Harmon to Poughkeepsie. – 12:42 a.m., making all station stops from Yankees-E. 153rd Street to Croton-Harmon. – 1:15 a.m. making all station stops from Croton-Harmon to Poughkeepsie. – 1:20 a.m., making all station stops from Yankees-E. 153rd Street to Croton-Harmon. – 1:50 a.m., making all station stops from Croton-Harmon to Poughkeepsie. – 2:30 a.m., making stops at Spuyten Duyvil, Riverdale, Yonkers, Hastings-on-Hudson, Dobbs Ferry, Irvington, Tarrytown, Scarborough, Ossining, and all stops between Croton-Harmon and Poughkeepsie. – 3:00 a.m., making all station stops from Marble Hill to Croton-Harmon. – 3:40 a.m., making stops at Spuyten Duyvil, Riverdale, Yonkers, Hastings-on-Hudson, Dobbs Ferry, Irvington, Tarrytown, Scarborough, Ossining, and all stops between Croton-Harmon and Poughkeepsie. – 4:20 a.m., making all station stops from Marble Hill to Croton-Harmon. – 4:50 a.m. making stops at Spuyten Duyvil, Riverdale, Yonkers, Hastings-on-Hudson, Dobbs Ferry, Irvington, Tarrytown, Scarborough, Ossining, and all stops between Croton-Harmon and Poughkeepsie. – 5:20 a.m., making all station stops from Marble Hill to Croton-Harmon. A regular weekend schedule will operate, with an additional inbound train from Port Jervis and additional outbound service to Port Jervis and Spring Valley after midnight. – 1:24 a.m. from Hoboken, making all stops to Spring Valley. Passengers from Penn Station New York should board the 1:18 am train and transfer at Secaucus Junction. – 3:45 a.m. from Hoboken, making all stops to Spring Valley. Passengers from Penn Station New York should board the 3:39 am train and transfer at Secaucus Junction. – 4:09 p.m. from Port Jervis making all stops to Suffern, then Secaucus Junction and Hoboken. Change trains at Secaucus Junction for service to Penn Station New York. – 3 a.m. from Hoboken, making all stops to Port Jervis. Passengers from Penn Station New York should board the 2:50 a.m. train and transfer at Secaucus Junction.